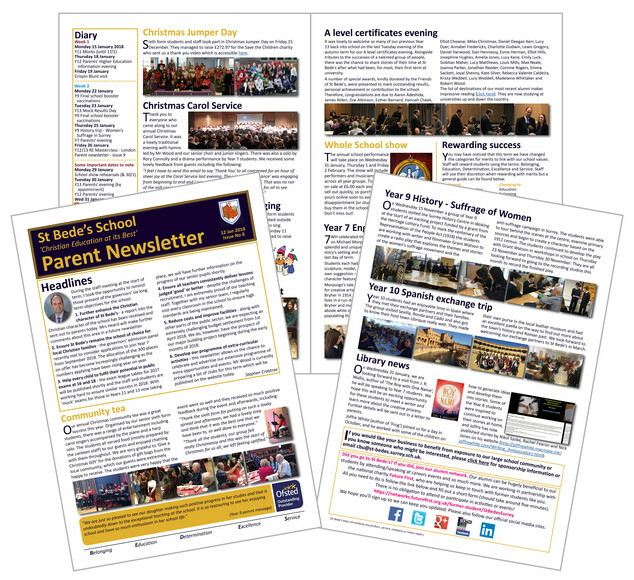 The latest newsletter is available to view here (issue 8) (or go to News & events/Newsletters) - it is packed with information about what the students have been up to recently as well as some important messages/information. We hope you will enjoy reading the various articles. If you would like to sponsor our parents’ newsletter, please click here for more information.